The décharge mark of une petite tête de poulei for 1750-56 on the rim of the cover. DV mark under the silver-gilt base. 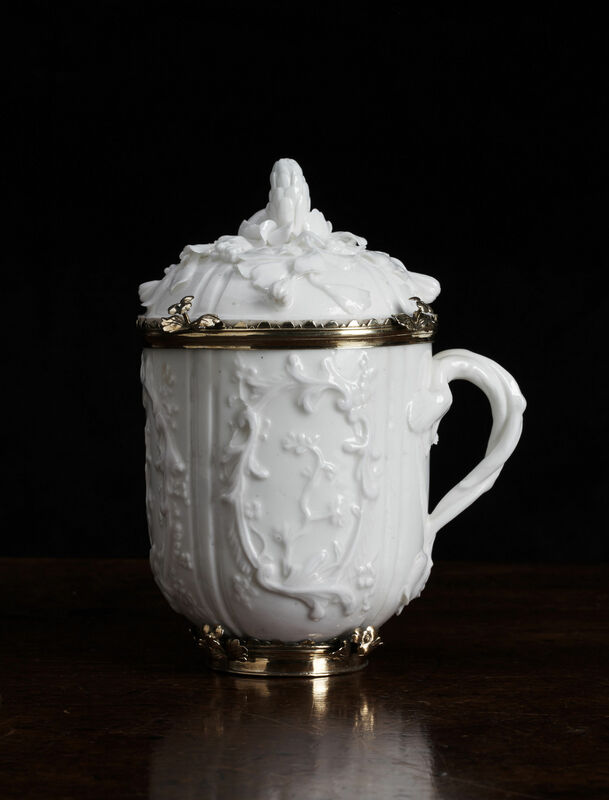 The body of the cup divided vertically into four panels with three elaborate rococo cartouches enclosing angular branches, the handle formed as two entwined branches with leaf terminals. The domed cover with berries and buds issuing from leafy sprays below a cone finial. 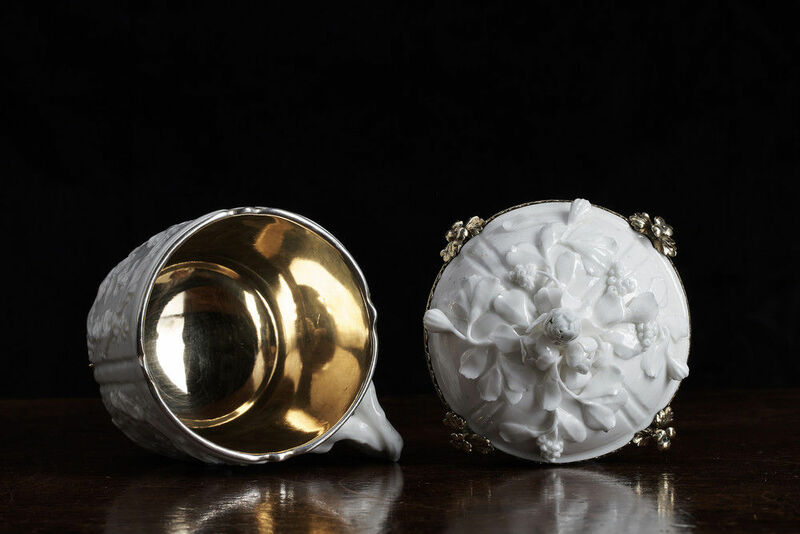 The interior of the cup with a silver gilt lining, the foot and rim of the cover both with dentil-edged mounts and four high relief flower sprays. 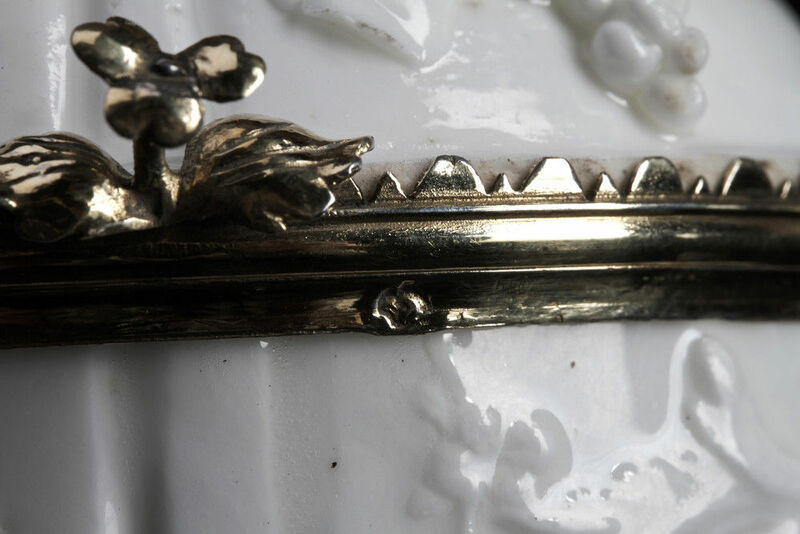 No other example of this form is known and the richness of the moulded surface decoration is exceptional. 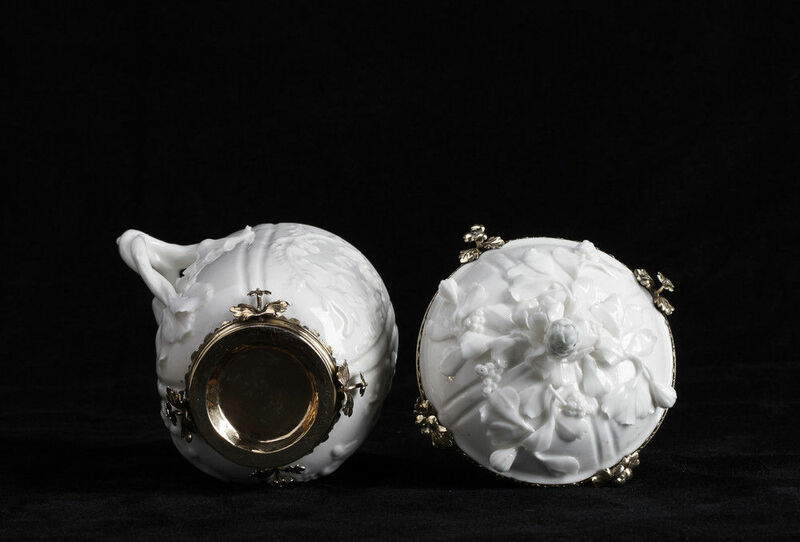 The paste is of a brilliant whiteness comparable to that of Vincennes; this extremely white paste was used in the early days of the Mennecy factory when it had been re-established by François Barbin under the protection of the duc de Villeroy around 1748-55. The later paste was noticeably creamy. The décharge mark of a chicken’s head was used by the Paris Fermier Général Julien Berthe on small items between 1750 and 1756. Condition – Miniscule chips to tips of leaves.